The first of a recent series addressing concepts related to cosmology, religion and minimal art. 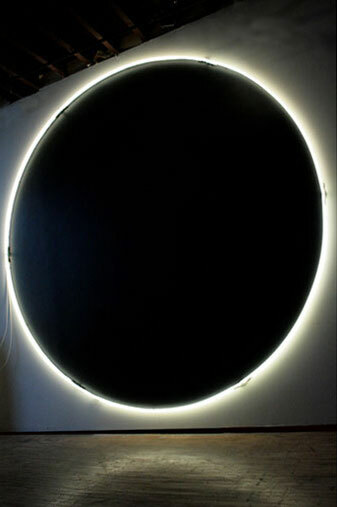 The neon is affixed directly to the supporting wall and a black disk is painted beneath, giving the perceptual impression of depth. Depending on the placement of the viewer the piece appears volumetric or flat, full or empty.